Frank, Roger and their wives take off for Colorado in a recreational vehicle, looking forward to some skiing and dirt biking. While camping en route, they witness a satanic ritual human sacrifice, but the local sheriff finds no evidence to support their claims and urges them to continue on their vacation. On the way, however, they find themselves repeatedly attacked by cult members, and they take measures to defend themselves. I was 7 years old when I saw this movie at the Drive In, I was scared and hooked on horror movies from that moment on! I still love this movie, it scared me because it’s something that could really happen! Thanks for adding this Gem! I love satanic panic. I love even more creepy road movies. 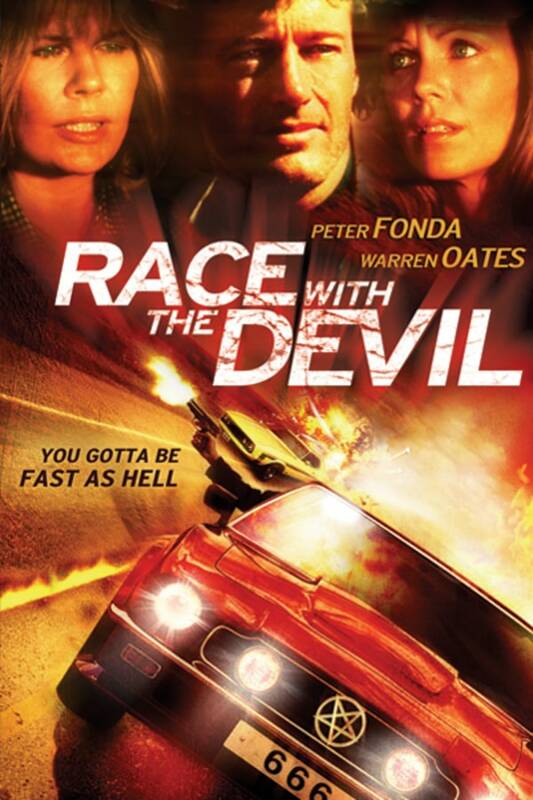 Race with the Devil is in the top tier of that genre with Duel and Hitcher. Thank you so much for this, Shudder!